London has been experiencing some pretty great weather over the past few weekends, and we Londoners have made the best of it! 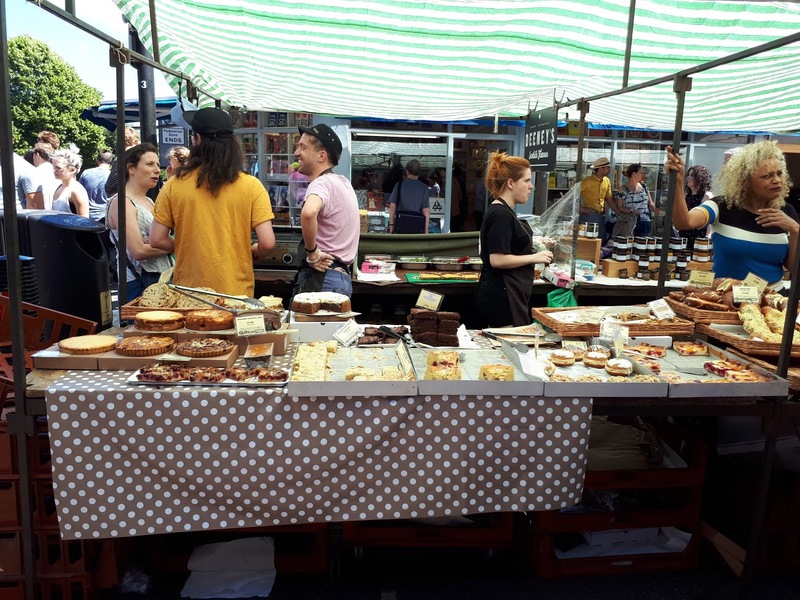 On one of the sunny warm weekends, I went to Broadway Market in Hackney, which has been in existence since the 1890s. 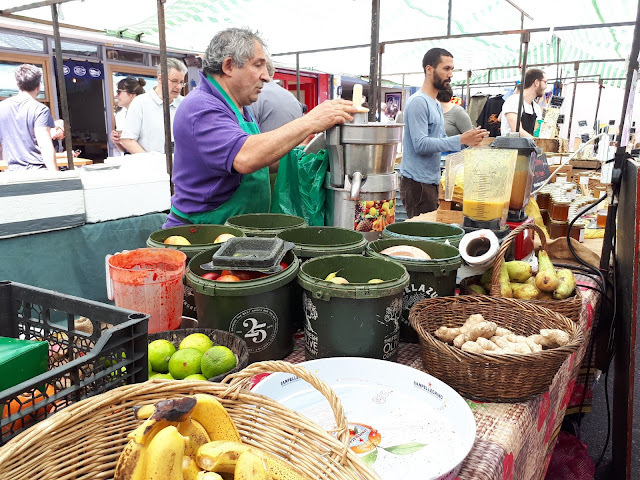 The Market these days is what I would primarily call a food market, where you can purchase fresh local produce and quality food from street vendors as well as explore some the independent cafes and restaurants. 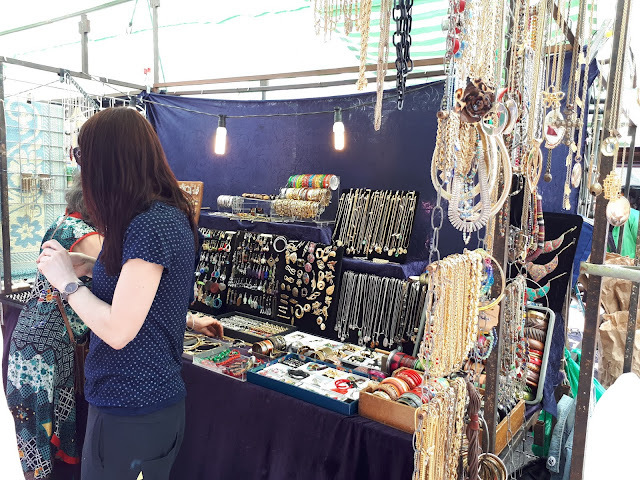 There are also stalls selling jewellery, clothing and plants; I reckon there is at least one thing for everyone to check out the market; it attracts tourists and locals alike. 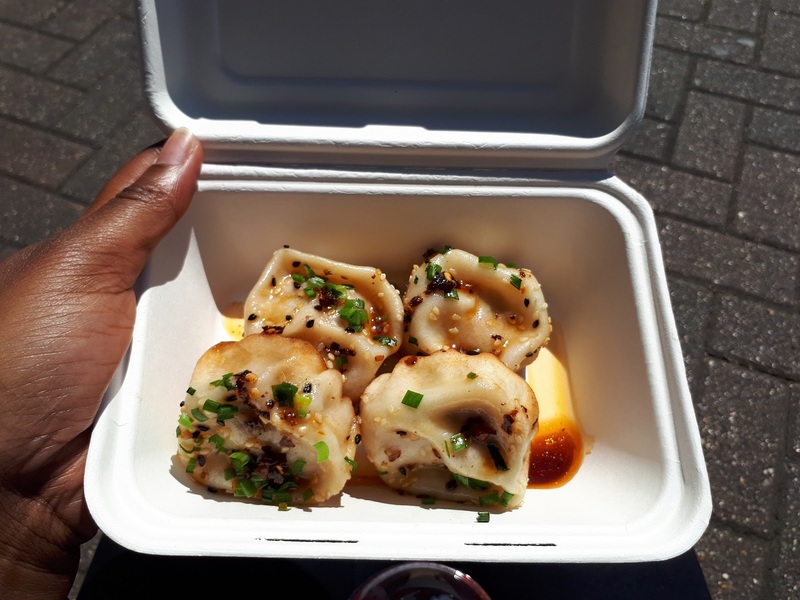 What brought me to Broadway Market was deep craving for ShengJian boas (soup dumplings) from Dumpling Shack and I wanted to try out Crosstown Doughnuts as my instagram feed had been littered with pictures if their doughnuts and quite a few of my friends had been raving about them. 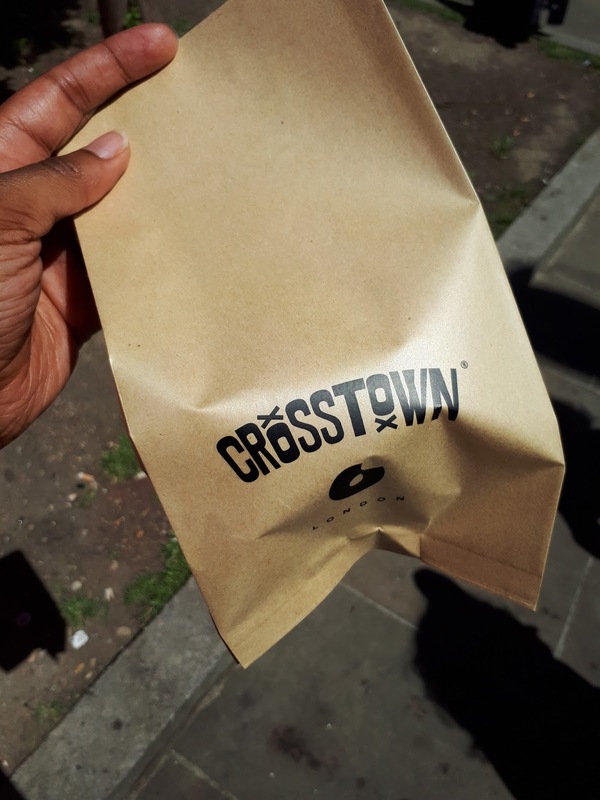 I was not disappointed with Crosstown Doughnuts. 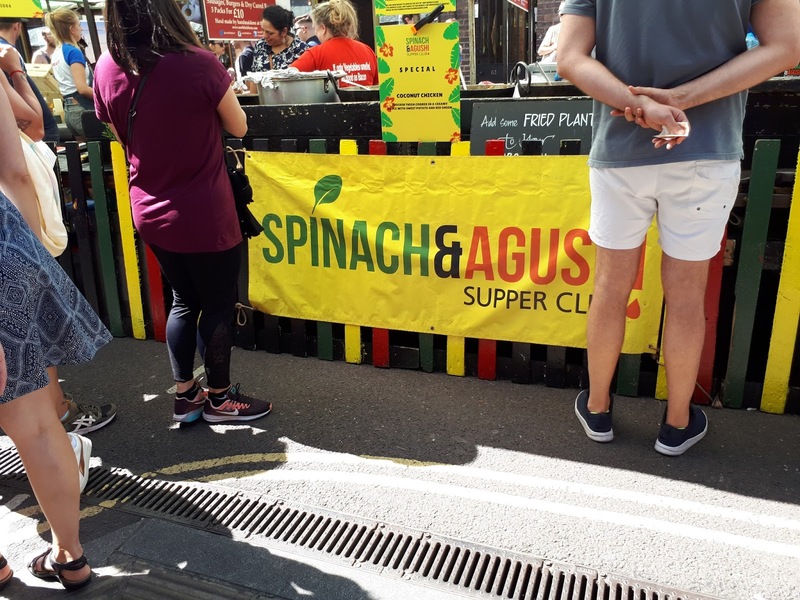 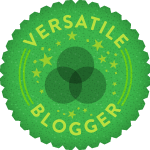 I bought their matcha tea doughnut which is part of their seasonal range and cinnamon sugar which is in their classic range – yes I ate both; I needed to compare! Both doughnuts were nice however I preferred the matcha tea; I was advised by the vendor that it had a more cake like texture and I think that worked really well. 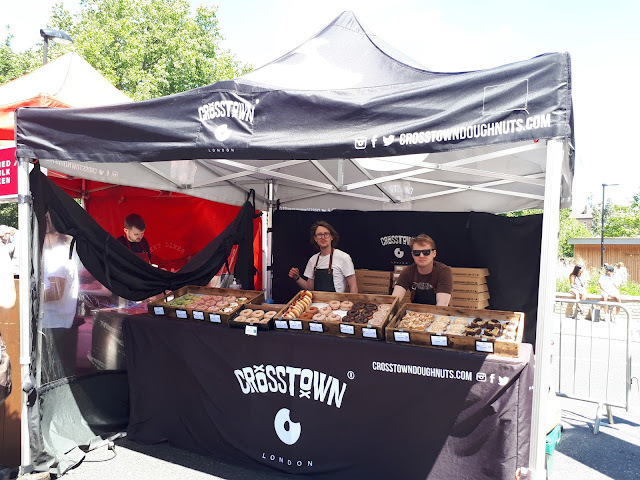 I used to think that Krispy Kreme were “premium priced” doughnuts, but Crosstown are next level with prices being about 1.5 times that of Krispy Kreme. So while their doughnuts are nice, for me they are definitely a luxury treat! 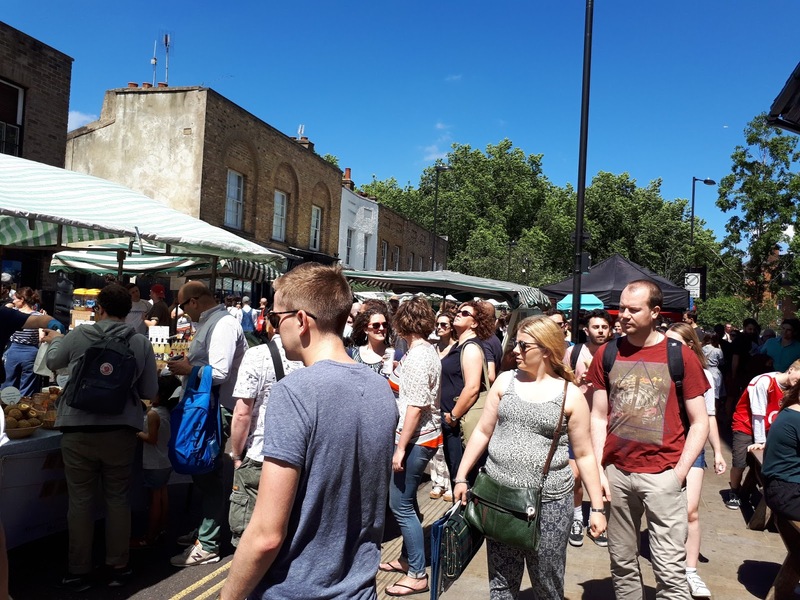 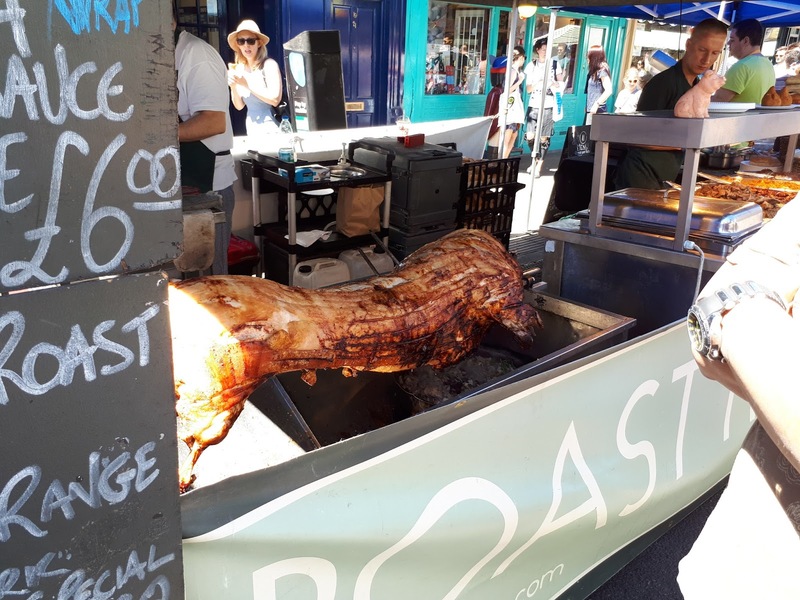 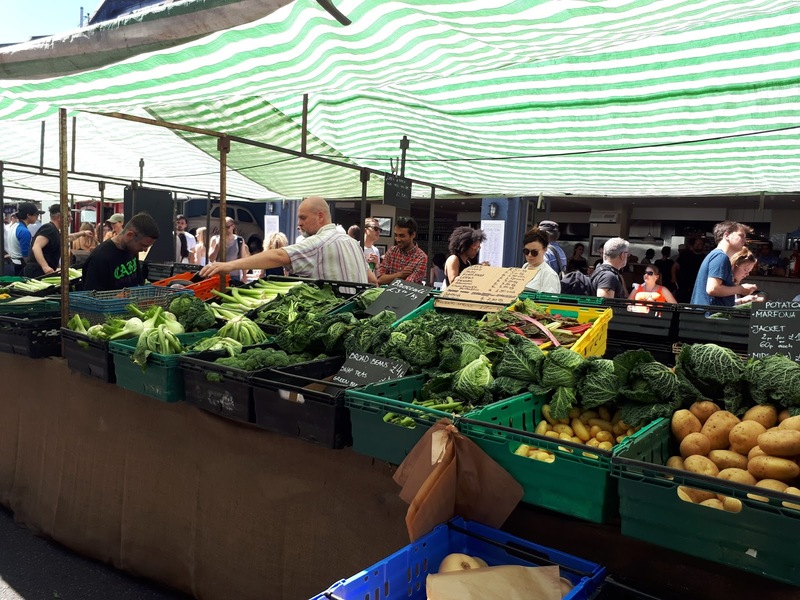 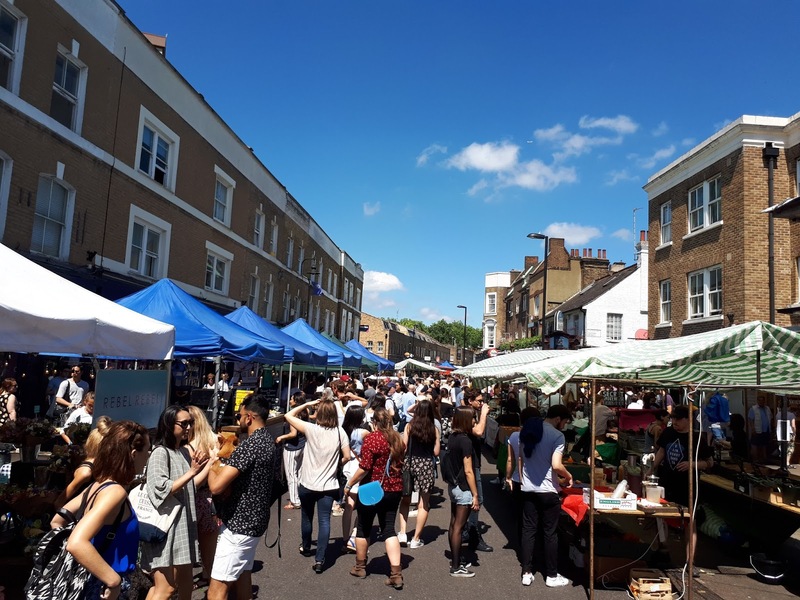 Broadway Market is open every Saturday, and is located adjacent to London Fields so after strolling (or shuffling) through the market you could relax in the park or take a lazy stroll by the canal. 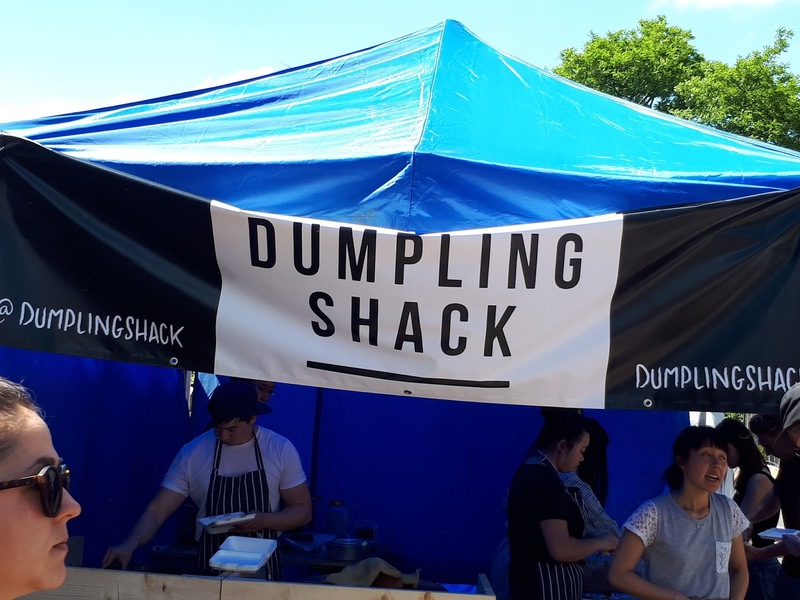 It is recommended that you visit once over the Summer. 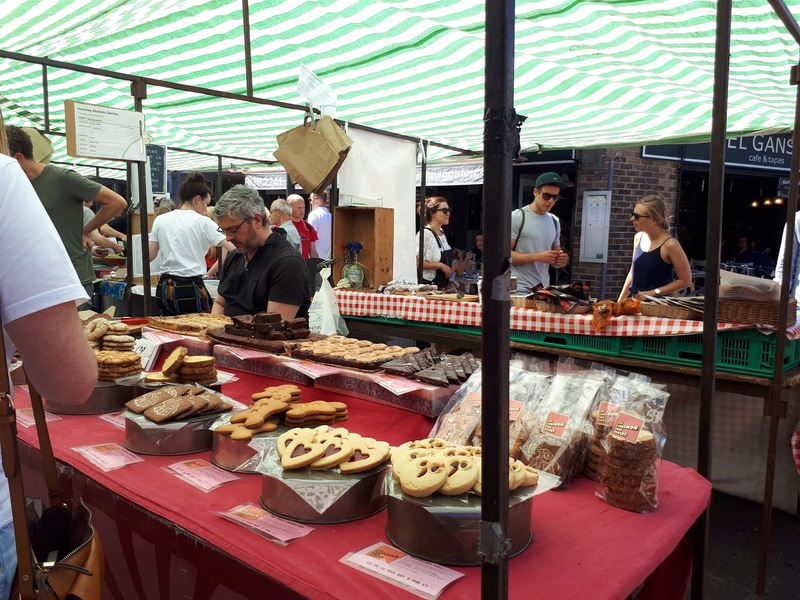 Markets seem to be my thing at the moment, so if there are any other markets around London that are worth visiting, let me know! 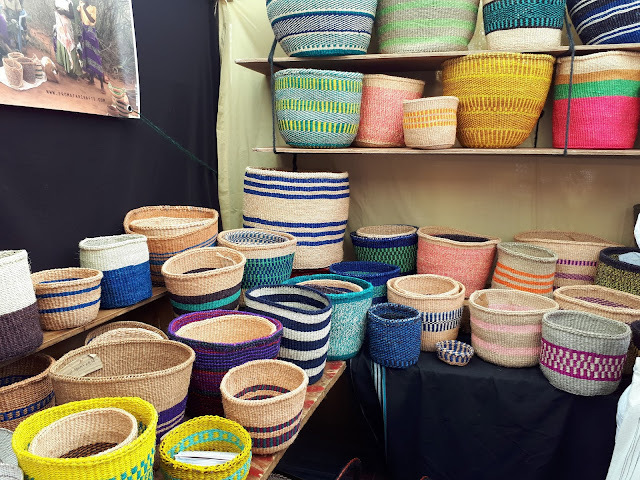 I love those colorful woven baskets.